* CHALLENGE THE WICKED WITCH! 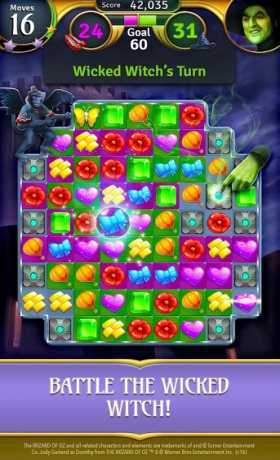 – Go toe-to-toe against the WICKED WITCH OF THE WEST™ herself in an all-new adventure! You take a turn, then she fights back! 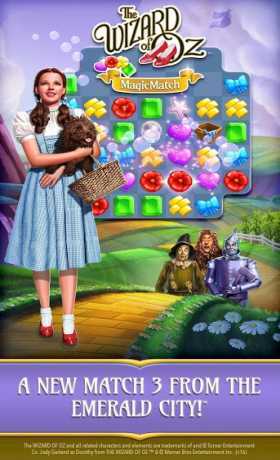 Collect more tiles at the end of the level to defeat her. Do you have what it takes to melt the Wicked Witch and meet the wonderful Wizard of Oz? 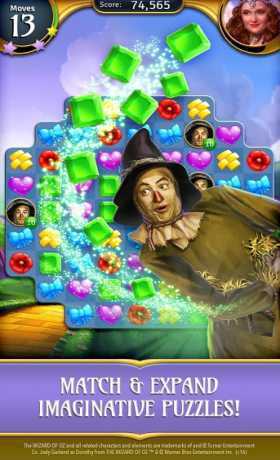 Already enjoying The Wizard of Oz Magic Match? Like us on Facebook to stay up-to-date on the latest content, newest levels, exciting contests, and more.